Records of sea food obtained from countries all around the world could be different from the registers published by UN’s Food and Agriculture Organization (FAO), according to a study published by the Journal Nature. It was also remarked that fishing practices have probably been less sustainable than expected. Results seem to suggest that catch peaked at 130 million tonnes and then started to decrease by 1.2 million tonnes per year, since 1996. Those quantities differ with the records from the FAO, which calculated that 86 million tonnes of seafood were obtained in 1996, numbers that later started to decline. The study was carried due to the collaboration from more than 50 institutions, which provided more accurate data that includes zones not registered by the FAO. It was explained that between 1950 and 2010, annual catches were bigger than expected. However, after a peak was reached in 1996, the numbers appear to have decreased faster than previously calculated. “Our results differ very strongly from those of the FAO. Our results indicate that the decline is very strong and is not due to countries fishing less. It is due to countries having fished too much and having exhausted one fishery after another,” lead researcher, Prof Daniel Pauly, at the University of British Columbia in Canada said to The Guardian. 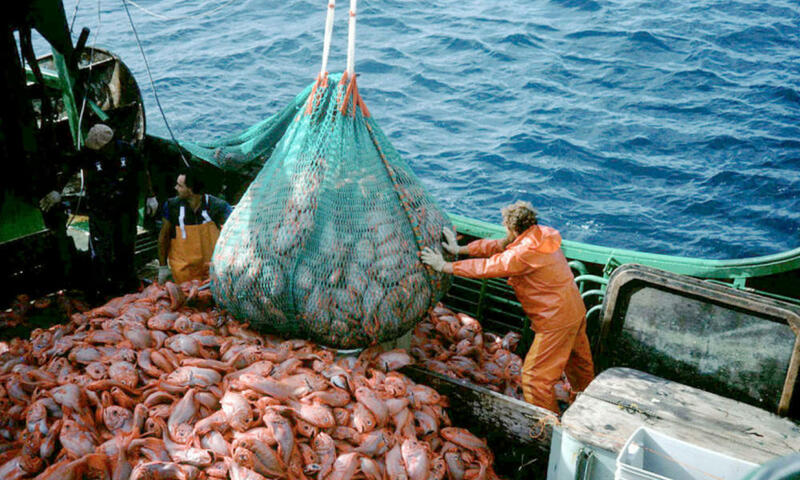 According to Green Facts Organization, more than 43.5 million people obtain revenues from fishery worldwide. Sources suggest that 90 percent of the seafood consumed in the U.S are obtained from other countries such as China, Norway and Thailand, which are the top exporting countries of fish. That being said, 55 percent of the seafood that is bought in the nation, is dominated by just three types of products: shrimp, tuna and salmon. It was explained that illegal fishing and small-scale fishing were hard to track, but researchers affirmed that the findings are probably accurate, since they used data from more than 200 studies carried in more 10 years by more than 400 people from all parts of the world. Professor Daniel Pauly said that he expects the decline of fishery will continue because several countries from Africa –where China and European countries have fishing vessels– are not rebuilding their stocks. Last year, the EU accused Thailand for illegal fishing, and Greenpeace stated that the country was related to pirate fishing in the Pacific. “The very high catches that were achieved globally in the 1990s were probably not sustainable. However, they do suggest that stock rebuilding, as successfully achieved in many Australian and US fisheries, and beginning to be applied in some European fisheries, is a policy that needs wider implementation, and which would generate even higher sustained benefits than previously estimated from reported catches,” Professor Pauly said. Researchers concluded that the global community should provide the FAO realistic registers related to fishery, in order to get a better comprehension of such a huge activity. Also, the UN’s institution should work alongside other organizations to obtain better results, since the world database can still be enhanced.